PRT yields similar progression-free survival rates to IMRT; outcomes depend largely on the success of surgery prior to radiation therapy. 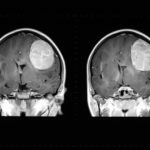 As many as half of patients diagnosed with ependymoma are younger than 3 years. Standard treatment includes surgical resection followed by photon-based radiation, including intensity-modulated radiation therapy (IMRT). Photon-based radiation is, however, associated with a number of long-term complications, including impaired cognitive development. Proton-beam radiation therapy (PRT) does not damage normal tissue, reducing long-term toxicity, and may be as effective as IMRT for post-surgical treatment. 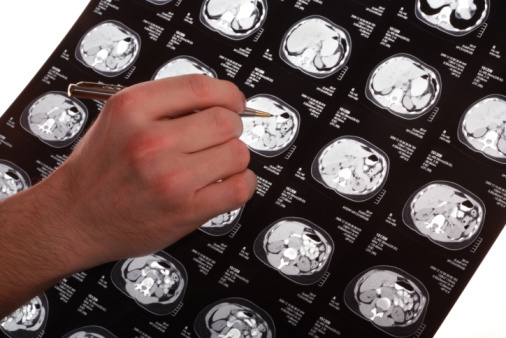 For this retrospective study, the authors reviewed the medical records of 79 pediatric patients with ependymoma treated with surgery and IMRT or PRT between 2000 and 2013 to determine the efficacy of PRT compared with IMRT. Post-surgery, 38 patients underwent IMRT and 41 patients underwent PRT; the median ages were 5.7 and 2.5 years, respectively. Nine patients in the IMRT group and 6 patients in the PRT group underwent chemotherapy prior to radiation therapy; gross total resection was achieved in 29 and 38 patients from the IMRT and PRT groups, respectively. Although 3-year progression-free survival rates were superior in the PRT group (82% vs 60%), the authors reasoned this was due to the higher gross total resection rate in the PRT group. Long-term toxicity data are not yet available. The authors concluded that PRT yields similar progression-free survival rates to IMRT and that outcomes depend largely on the success of surgery prior to radiation therapy. Toxicity data should be collected and compared.